Oserian is one of Kenya’s leading cut flower farms established in 1982 – the farm is situated in the great Rift Valley just south of the Equator on the shores of Lake Naivasha. 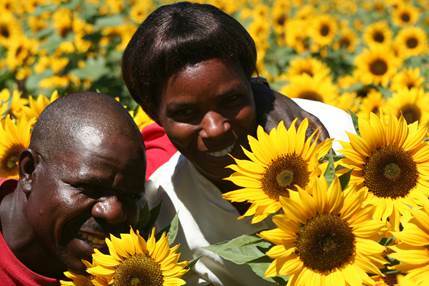 The farm is proud to be associated with the early development of the Kenyan flower industry and especially the driving force behind ethically produced flowers on the African continent being the first large scale farm to be awarded Max Havelar/Fairtrade status. Today the farm is a global leader in sustainable flower production embracing all mother nature has on offer to reduce our global footprint with the use of green geothermal energy to green bio controls to manage pests/disease – our ultimate goal is to produce a green carbon neutral Rose by 2020. We have a wide range of high quality fresh flowers from our beautiful garden roses to various seasonal summer flowers all grown in the heart of the Rift Valley on 220 hectares tendered each day by the Oserian Team numbering some 3,500 people.